The mystic wind of the holidays is in the air! With holidays less than a week away, most of us are eagerly awaiting to stay beside our loved ones and cherish the joys of the festival. The soothing chill of the holidays brings along a blissful vibe that helps us to escape from the hassles of our hectic work schedule. And, the best part of holidays is showing our friends and families that extra bit of care with our thoughtful gifts. But, finding that perfect present can be a frantic task when the local gift shops are bombarded with regular gifts and you have no idea what to buy. We understand that most of you are tired of presenting the same gifts, again and again, every year, and want to add that extra bit of spice this holiday. Gone are the days when a box of candy or a greeting card used to do the trick. Today, if you want your gifts to stand out, it has to be meaningful, unique or cool. 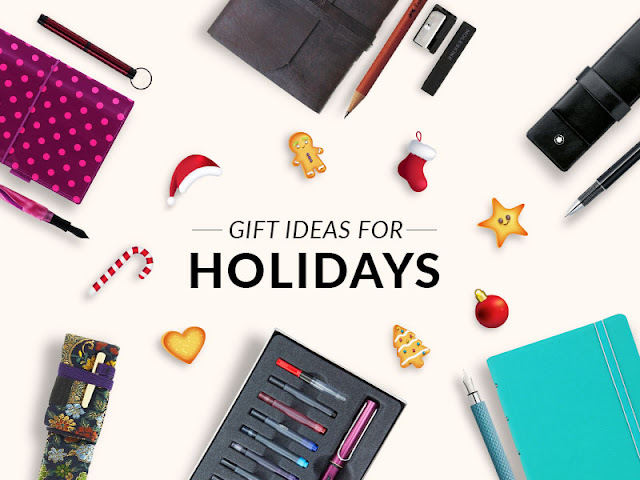 So set your worries aside, as we have compiled a list of meaningful gifts that will add a value this holiday. We have divided our gift ideas into three different sections (her, him and kids) so you can browse our collection with ease. Montblanc Heritage Cuff Links Stainless Steel: A symbol of beauty and grace, this new cufflink set from Montblanc exhibits the sophistication of the brand. This unique item will decorate the personality of your favorite man. Regardless of the occasion, Montblanc accessories are always admired for their fine finish and timeless charm. Bosca 815 Flapover Brief Old Leather - Black: It doesn't matter who is on your gift list, a businessman who has to keep every document together or a student who is constantly on the move, this beautiful product will definitely make a legit choice. Montegrappa NeroUno Lifestyle Rose Gold Chronograph Watch: Make your special man feel extra special with this beautiful watch. Designed with the promising quality of Montegrappa, this fine watch holds a timeless value. Gift this elegant timepiece to your favorite ones and they'll cherish it for a lifetime. Giuliano Mazzuoli Officina Hinge Money Clip: If you are looking for a sophisticated gift that is both stylish and beautiful then you cannot go wrong with the Giuliano Mazzuoli Officina Hinge Money Clip. This elegant clip is designed to last, and its functional side will definitely impress the recipient. Montblanc Meisterstück Classique Ultra Black Fountain Pen: From the day its inception, Montblanc Meisterstuck Ultra Black writing implements are classified as a Gentleman's choice. Everyman will adore its value and consider it as a statement of style and class. So, if you are searching for a sophisticated gift for this festival you have to look no further beyond this product. Ducati Wallet: Ducati wallets are special; they exhibit style, simplicity and fine craftsmanship of Ducati artisans. Each piece is finely made by proficient experts who have learned their craft at the famous leather school of Florence. The elegant exterior is decorated by white stitches around the edges which gel neatly with the design. Undoubtedly, this beautiful wallet will make a fine gift for this holiday. Parker Urban Vibrant Magenta with Chrome Trim Fountain Pen: Express your deepest feelings with the new Parker Urban Vibrant Magenta Fountain Pen. This beautiful writer presents the proud quality of Parker in a stylish form. The elegant chrome plated accents contrasts nicely with the body and creates an impeccable sheen. The perfect blend of style, comfort, and functionality makes this fine writer a special choice your special ones. Present this unique gift this holiday and it will surely create a timeless impression. Filofax Patent Compact Fluoro Pink Organizer: Stylish, Classy, and Elegant, everything about the Filofax Patent Compact Fluoro Pink Organizer is beautiful like your special lady. This compact organizer is a perfect gift item for your mother, sister, wife and BFF. Its compact size makes it a perfect carry-on-the go companion and a perfect tool to keep everything organized. Waterman Carene: Distinctly feminine, let the Waterman Carene impress your special lady this holiday. This fine series of writing instruments is available in a variety of finishes. 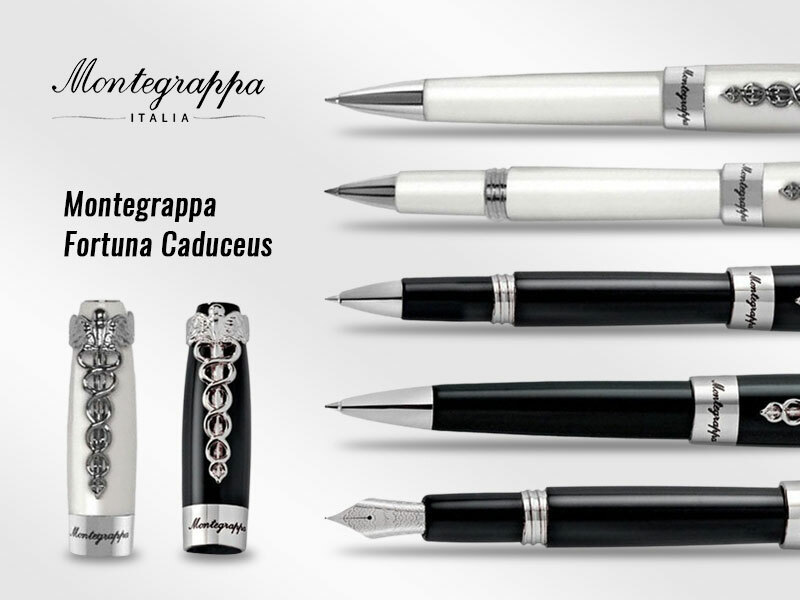 The Carene series exhibits the finesse artistry of Waterman artisans and their urge to create finest writing implements. Parker Sonnet Matte Black CT Ballpoint/Red Notebook Gift Set: A thoughtful gift for special occasion, this beautiful combination makes for an ideal gift. 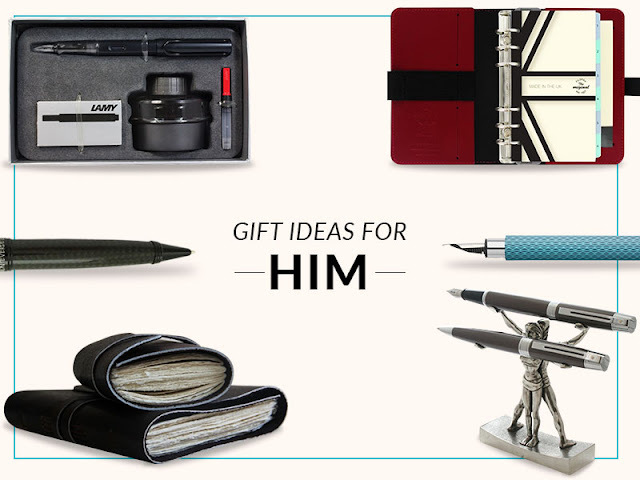 The set includes a Parker Sonnet Matte Black CT Ballpoint pen and a Red Notebook. 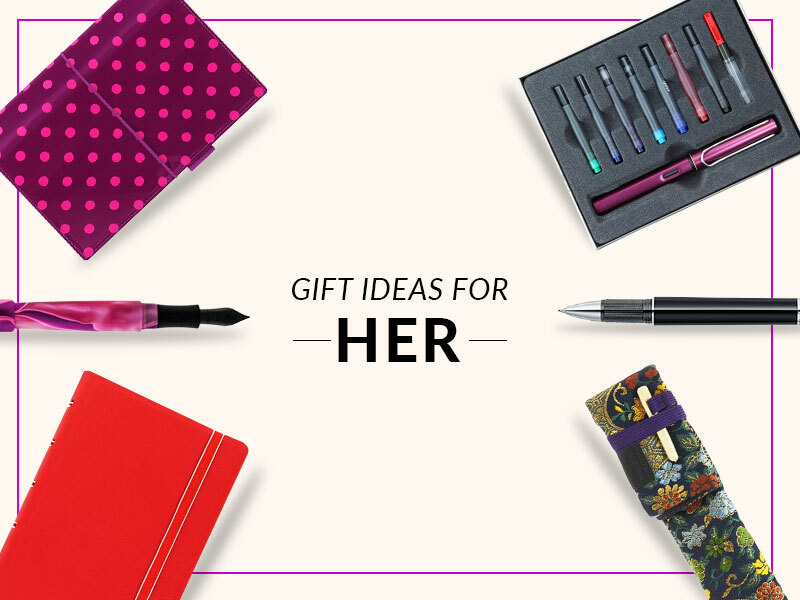 This holiday let your favorite lady/girl pen down her ideas with this expressive gift set. Fisher Space Bullet - Fuchsia Flurry Ballpoint Pen: Affordable yet functional, simple yet stylish, compact yet balanced, the Fisher Space Bullet - Fuchsia Flurry Ballpoint Pen is one of the most selling items amongst ladies. Its mesmerizing appearance will definitely make a statement and stand out amongst other gifts. 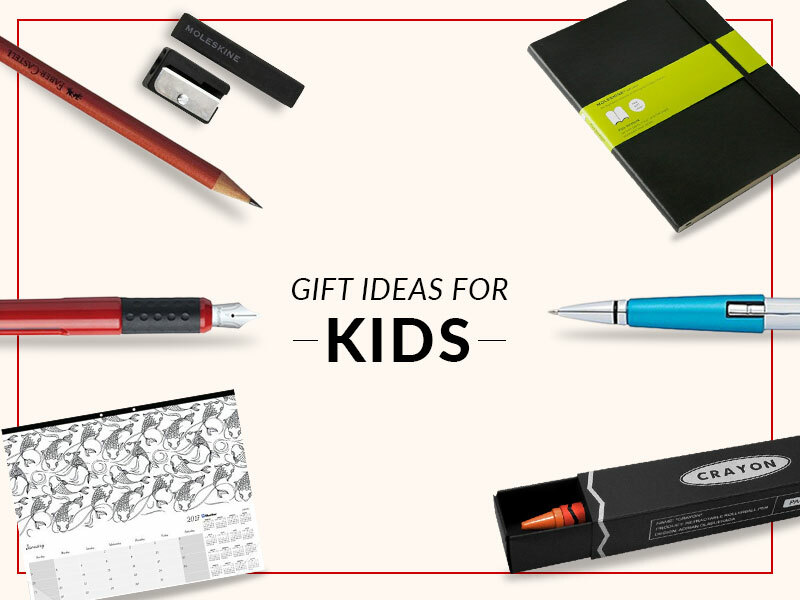 Lamy ABC Fountain Pen: Instead of presenting a regular toy, this year present something meaningful to your kids that will add a value. The Lamy ABC Fountain Pen is a beginner's fountain pen that's perfect for your child. The pen was developed in cooperation with educational experts for the first steps in learning to write. It features a soft-touch grip section to take care of your child's delicate fingers and the cube at the back prevents the pen from rolling off the desk. Faber-Castell Art Grip Color Pencil Tin - 12 pcs: Help your child to put forth his/her creative side with our Faber-Castell Art Grip Color Pencils. The set comprises of 12 different colored pencils great for doodling. These pencils come in a sturdy tin box that helps to protect the pen from external casualties. Cross Click/Jot Zone Star Wars Stormtrooper Gift Set: If you have a Star Wars fanatic running around your house then you cannot go wrong with this set. The set is decorated with the motifs of brave storm troopers and will inspire your child to pen down his/her creative thoughts. Plus, it always feels good to see our kids holding a pen and paper instead of a Lightsaber. Pelikan Pelikano Junior: Simple yet functional, the Pelikan Pelikano Junior fountain pen is precisely built for your child's hand. Teaching your kids to write with an adult's fountain pen can be a hectic task, so we are glad to introduce this unique collection of fountain pens. This product may not appear as flashier as the fancy toys but it would definitely make a thoughtful gift.